With this tall chest, you can solve your storage needs. Featuring 5 drawers which will let you store your clothes and other personal belongings and also includes a top mirror which can be opened and closed for your personal needs. 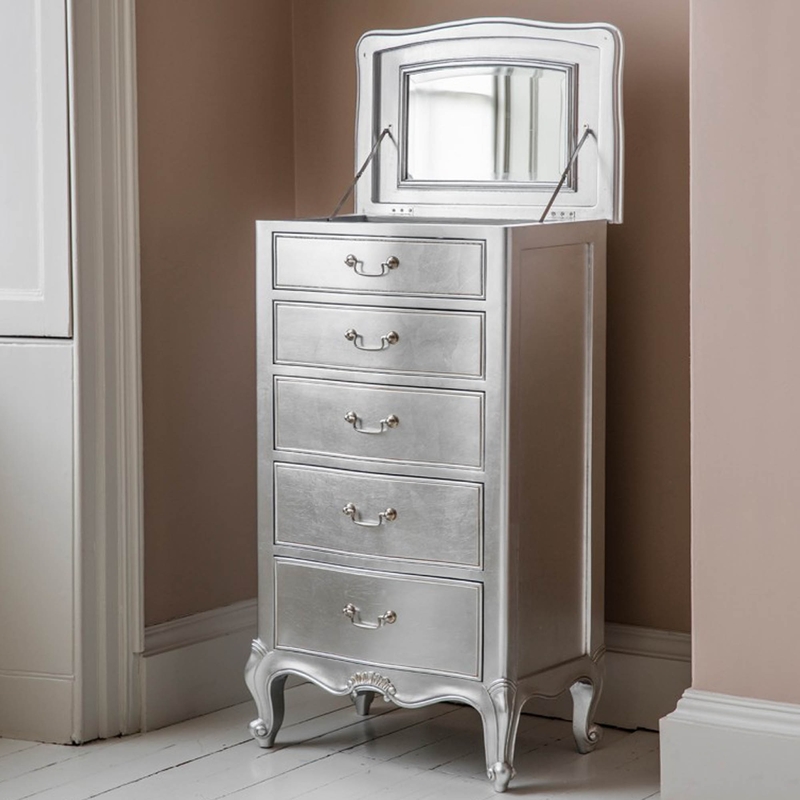 Due to its tall design, it will take up minimum space while providing plenty of storage and it has been finished in a gorgeous silver coloured paint. This is a must buy for anyone who wants to add some elegantly styled storage to their home.